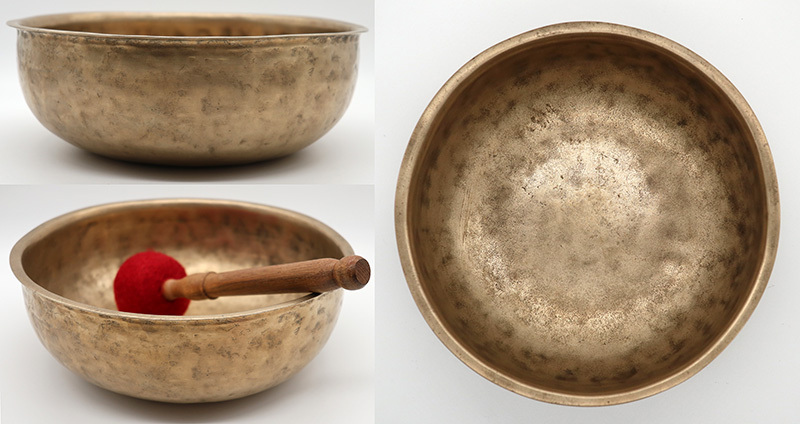 Large antique Tibetan singing bowls typically have diameters that range from about 8 to 12 inches (20 to 30cm), with a few rare exceptions reaching 14 inches (36cm) or more. 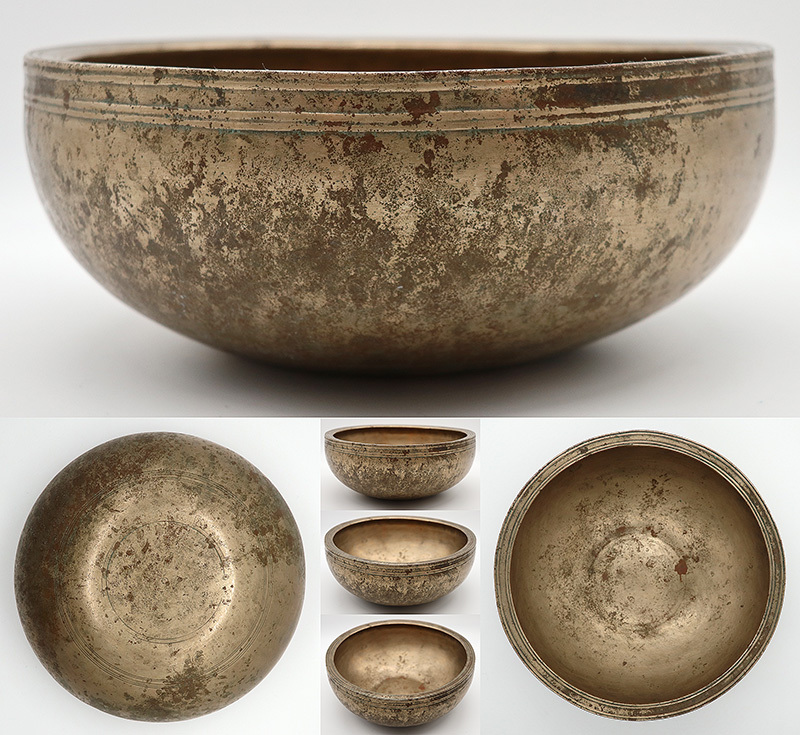 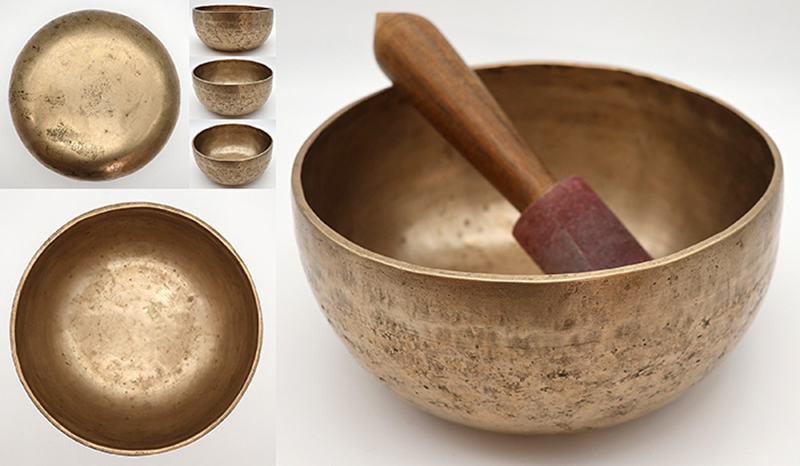 Larger diameter hand-forged singing bowls are available up to 20 inches (50cm), but these are newly made. 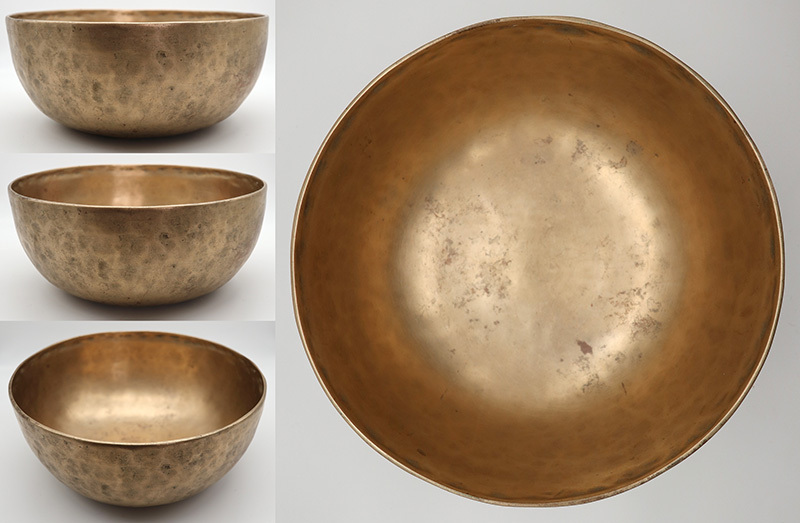 Virtually all the large bowls in this category are handsome Ultabati and Jambati bowls. 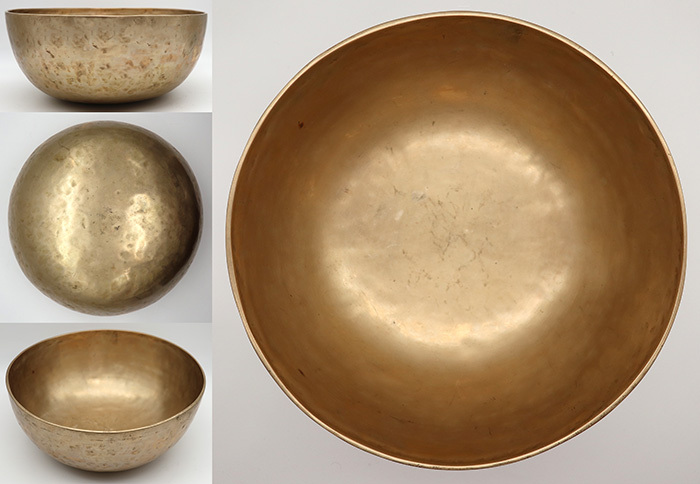 They are capable of producing some of the most stunningly beautiful sounds imaginable, with long, low, and sonorous notes ranging from the second to fifth octave, and multiple harmonics. 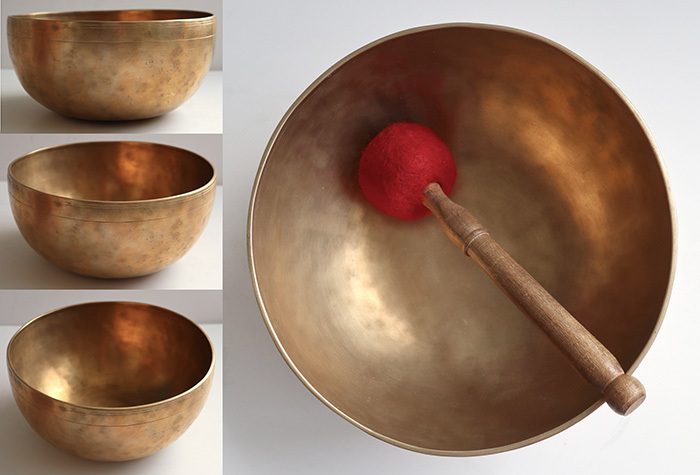 One can bask in the sound and literally feel their immense vibrant energy at a distance. 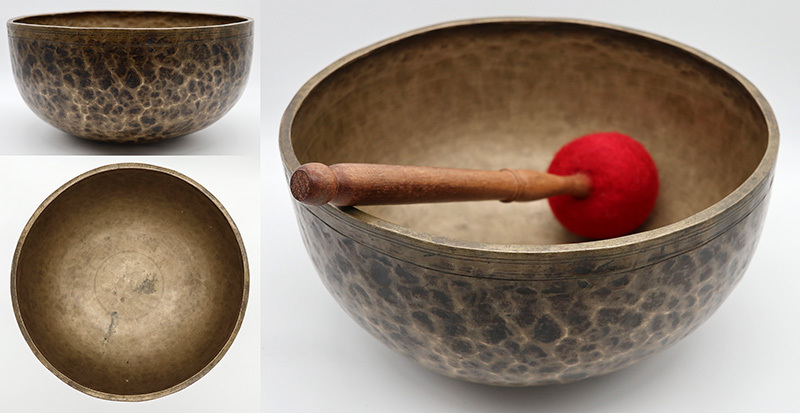 These bowls are often so big and heavy that they become cumbersome to hold for more than a few minutes, and are therefore stationed on a mat or cushion to play. 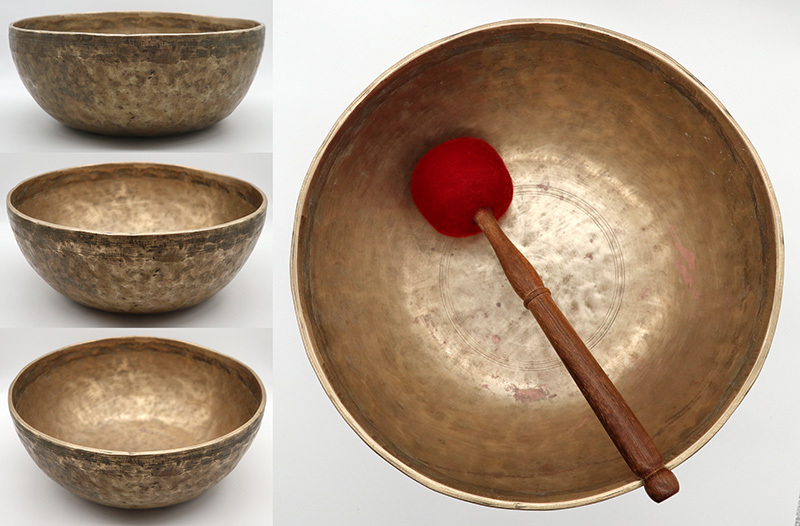 They are generally struck rather than played around the rim with a ringer, because striking best brings out the fundamental note and the other subtle harmonics. 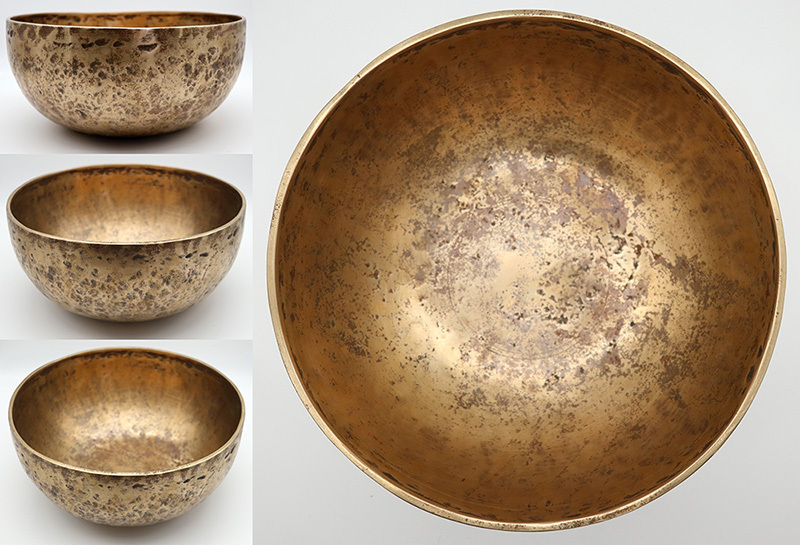 With a little water inside, many large bowls are capable of producing spectacular fountains when played around the rim. 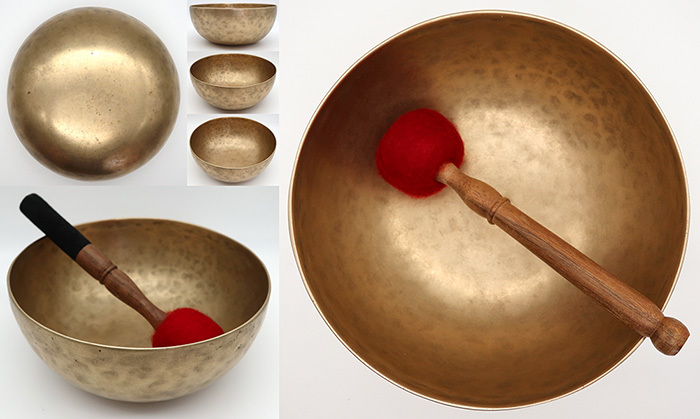 Large antique singing bowls are frequently favoured by healers, sound therapists, workshop facilitators, musicians, shamanic practitioners and, especially, private collectors.